Setting specific savings goals will help you to begin saving money. When you are just putting money into the bank on a regular basis, it can be easier to withdraw it for various reasons or overspending, and using some of your money earmarked for savings is easier to justify. For these reasons, it is important to be saving for a specific reason. You may be working towards several goals at once, or you may be focused on a specific goal that you want to meet. You need to determine what you are saving money for. Your savings goal may be for a down payment on your home. You may be saving for a dream vacation or to pay for your next car. You may be saving for retirement or for an emergency fund. You may be saving for all of these reasons. Once you know what you are saving for, then you need to determine how much you need in order to reach each goal. When you have the savings goal and the amount that you need to save, it helps to have a timeline for your goal. This will give you additional motivation to meet your savings goals. Some timelines are simple for example you may want to go on vacation in a year or you plan to have the down payment for your house ready in two years. Other goals, such as saving for retirement or an emergency fund, you may want to set benchmarks and dates that you want to reach these benchmarks by. For example, you may determine that you want to have $50,000 in your retirement savings account by the time you reach age thirty. In order to reach your timeline for your savings goal, you need to determine how much you need to save each month in order to reach it. 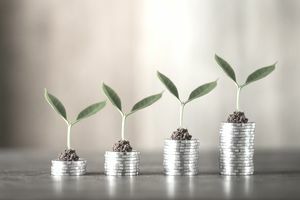 This should be pretty straightforward for most of your goals, but your retirement account you should adjust to so that you consider your contributions and your rate of return that will be added to it. You will need to find that amount of money in your budget. You should set up the savings so that it happens automatically. Some companies will direct deposit part of your check into a savings account or you can have your bank automatically draft that amount into a savings account on payday. You should also find the right type of account for your savings goal. If you are looking at saving money for longer than five years, you should look at mutual funds. Otherwise, you should look for a high rate of return savings account. Money market accounts through your bank or credit union often offer good rates of returns. In the past, Certificates of Deposit (CDs) have offered good rates of return, but you should compare them to other accounts. You do not want to put an emergency fund into a CD because you can be penalized if you need to access the money before the term is complete. Savings bonds do not offer an option that will help you reach your goals quickly either. Making savings automatic with a transfer each month can also help. If you are working towards more than one savings goal, you have several options available. You may choose to put all of the money into one account and simply keep a ledger at home of what amount goes to which goal. Or you may choose to have separate accounts for your savings goals. For example, you may opt to have one savings account that is simply for your emergency fund, and another account that you use to save for a home or vacation. Saving up for your vacation can help you prevent it from ruining your budget. This will help to protect the money that you are saving for those goals if you do end up needing to use your emergency fund. If you are working towards a larger goal, you may want to reward yourself as you reach some basic milestones along the way. This can help you stay motivated. A few splurges along the way can help you stay motivated for bigger goals. It is important to make sure your goals are achievable so that you do not get discouraged and stay motivated. Are You Setting Yourself Up for Failure with Your Financial Goals?